I wrote this paper for my Young Adult Literature class. It is a short biography of Clive Staples Lewis that highlights the major influences for his Young Adult work. It is interesting to note how Lewis' literary background influenced his writing and, undoubtedly, his Theology. For anyone wondering, this paper earned a good grade. Clive Staples Lewis was born on November 29, 1898 in Belfast, Northern Ireland. His parents were Albert J. Lewis (1863-1929) and Florence Augusta Hamilton Lewis (1862-1908). He died on Friday, November 22, 1963, a week before his 65th birthday. This date stands out in history as it coincides with both the death of Aldous Huxley and the assassination of President John F. Kennedy (C. S. Lewis Foundation, 2013). Lewis spent the first ten years of his life in Northern Ireland. In 1908 Florence Lewis—C.S. Lewis’ mother—died of cancer. A month later he joined his brother at Wynyar School in Watford, Hertfordshire, which is approximately 20 miles away from London. After a brief return to Belfast a couple years later, Lewis returned to England in 1911, this time to enroll in a boarding school entitled the Cherbourg House. In 1917, C.S. Lewis continued his education at University College in Oxford, United Kingdom. However, the eruption of World War I interrupted his studies; he enlisted and was commissioned an officer in the 3rd Battalion. Lewis was wounded during a battle in 1918 and discharged the following year. After his tour of duty, Lewis resumed his studies at University College, Oxford until 1923. He received Firsts in Greek and Latin Literature, Philosophy and Ancient History and English. This background in the humanities will prove to have the largest influence in his literary career. 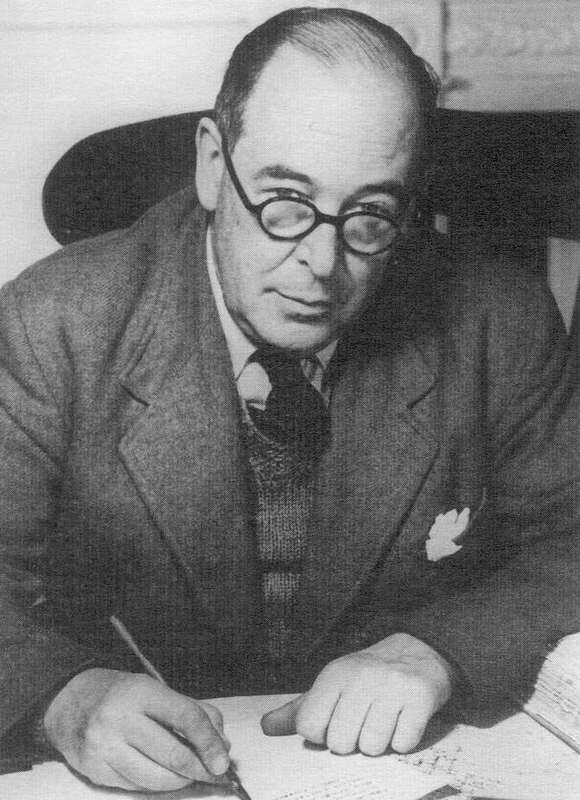 C. S. Lewis’ distinguished academic career continued until his death in 1963. During this time, Lewis received three honorary Doctoral Awards, appeared on numerous radio programs and published several works of both fiction and non-fiction. His fictional cannon includes two series of Young Adult fiction: the Space Trilogy from 1938-1945 (“C.S. Lewis,” 2013) and The Chronicles of Narnia from 1950-1959 (“The Chronicles of Narnia,” 2013). Lewis also takes part in several societies, including the Socratic Club, the Royal Society of Literature and The Inklings. The most salacious of these societies is The Inklings, a loose collaboration of writers who gathered together to exchange ideas. Another popular author who took part in these meetings is J. R. R. Tolkien, author of several fantasy novels revolving around Middle Earth (The Hobbit, The Lord of the Rings, The Silmarillion). Lewis only earned one award for his Young Adult fiction. He was awarded the Carnegie medal for The Last Battle in 1956, the final installment of his Chronicles of Narnia series. The Carnegie Medal was established in 1936 and is awarded annually to the writer of an outstanding book for children (“Living Archive,” n.d.). It is awarded by CILIP: the Chartered Institute of Library and Information Professionals. This award essentially serves as the United Kingdom’s version of the Newbery Award. In addition to the use of archetypes, Lewis is also a master of setting. Each of the Chronicles of Narnia books creates its own setting which influences the flow of the story. Emily Dagg highlights the importance of setting in the genre when she writes the following for Voice of Youth Advocates, “Fantasy is certainly a genre in which setting plays a vital role. The Chronicles of Narnia deliver the reader to a fantasy world that has been visited by millions over the years, enjoyed by adults as well as children.” (Dagg, 2005) Lewis juxtaposes the world of Narnia with the United Kingdom as the children travel back and forth between the two worlds. Further, the children mature in Narnia while remaining young in the United Kingdom. This allows the children to transfer lessons from their journeys to their current lives in this world. William G. Johnson and Marcia K. Houtman have also pointed out that C. S. Lewis’ background in Greek and Classical literature also had a profound effect on his Chronicles of Narnia series (Johnson, 1986). Digory Kirke is a character who clearly exposes the Platonic concepts embedded in the Chronicles. Towards the end of The Last Battle, Digory explains, "It's all in Plato, all in Plato: bless me, what do they teach them at these schools!" (Lewis, 1956). Further, the entire final book features the coming of a New Narnia, of which the Old Narnia is merely a shadow. This hearkens back to the Allegory of the Cave, which describes man’s current existence as if it were limited to a dream-like state while the next life brings full consciousness of reality. While in this dream-like state, we can only see shadows of the reality which is to come. The authors agree with Robert Houston Smith that there was within Lewis "a deep-rooted affinity for Platonism" that enabled him to enfold "Platonism into his Christianity, not simply as an intellectual system but as a satisfying window upon reality." Clive Staples Lewis was a literary critic who was not afraid to look at his own work critically. Lewis examines three modes of writing for children (Lewis, 1975) and explains his own method and why he believes it to be the best way. The first method is to write a story that gives the modern child what they want. The second mode is to tell the story to a real child and gauge their reaction. He rejects both of those modes because ultimately they patronize the child and children know when adults are not genuine with them. Finally, Lewis’ own method is to write a children’s story because it is the “best art-form for something you have to say.” He is “inclined to set it up as a canon that a children's story which is enjoyed only by children is a bad children's story. The good ones last.” In other words, Lewis wrote stories that pleased himself on topics that held his interest. He never wrote to an audience of children or young adults, he only wrote what he felt best. If the children happened to like the stories as well, then that was a bonus. The love of fairy tales for him was not an evidence of arrested development, but of proper development to which he added other types of literature. Clive Staples Lewis was a prolific author of both fiction and non-fiction. His Young Adult efforts are limited to two series, the Science Fiction Trilogy and the Chronicles of Narnia. The books in the Science Fiction Trilogy were published as follows: Out of the Silent Planet (1938), Perelandra (1943) and That Hideous Strength (1945) (“C.S. Lewis,” 2013). The books in the Chronicles of Narnia were published as follows: The Lion, the Witch and the Wardrobe (1950), Prince Caspian (1951), The Voyage of the Dawn Treader (1952), The Silver Chair (1953), The Horse and His Boy (1954), The Magician’s Nephew (1955) and The Last Battle (1956) (“The Chronicles of Narnia,” 2013). C. S. Lewis Foundation (2013). The life of C.S. Lewis Timeline. http://www.cslewis.org/resource/chronocsl/. Dagg, E. (2005) Challenging reads for teens from the children’s collection. Voice of the Youth Advocates, 28(2), pp. 112-114. Johnson, W. G.; Houtman, M. K. (1986). Platonic shadows in C. S. Lewis’ Narnia Chronicles. MFS Modern Fiction Studies, 32(1), pp. 75-87. Lewis, C.S. (1956) The Last Battle. New York: HarperCollins. Lewis, C. S. (1975). Of other worlds: Essays and stories, On writing for children (pp. 22-34). Orlando, Fl. : Harcourt. Living Archive. (n.d.). CILIP Carnegie Kate Greenaway Awards. http://www.carnegiegreenaway.org.uk/livingarchive/. Nicholson, M. (2011) C. S. Lewis, fairy tales, and Walter de la Mare. Notes and Queries, 58(4), pp. 581-583. Wriglesworth, C. (2006). Myth maker, unicorn maker: C.S. Lewis and the reshaping of medieval thought. Mythlore, 25(1-2), pp. 29.